This peppermint mocha salt scrub recipe would make a great DIY Christmas gift for friends. It's easy to make and smells amazing. This year, I have quite a few extra people on my Christmas list. 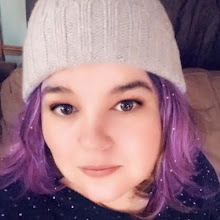 These aren't people that I'm close to, but I want to acknowledge them and thank them for their volunteer work this year. I'm making several different handmade gifts for them, giving one set to each group. 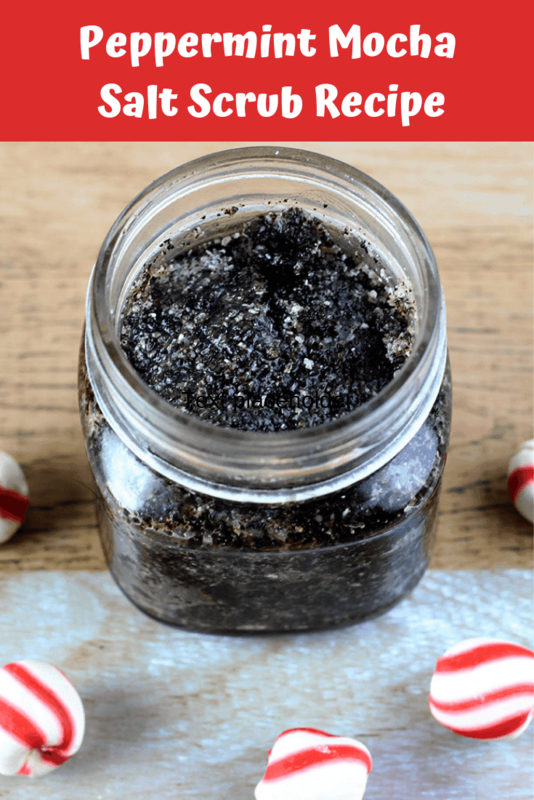 I have some ladies that have been wonderful volunteering their time with a children's group through a nonprofit that I'm involved with, so I wanted to make them this peppermint mocha salt scrub recipe. This body scrub recipe would also make a great teacher gift. When my kids were in public school, each year I had 10 to 14 teacher gifts to make each year. It got expensive, so I would look for things to make like this scrub. 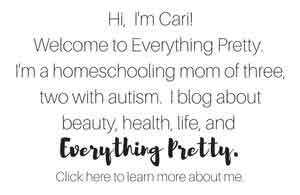 Now my kids are homeschooled, so I only have to buy gifts for my son's therapists. I guess I should get myself something as a teacher gift too. I love making body scrubs as gifts because it's a pampering gift, and who doesn't need some extra pampering? 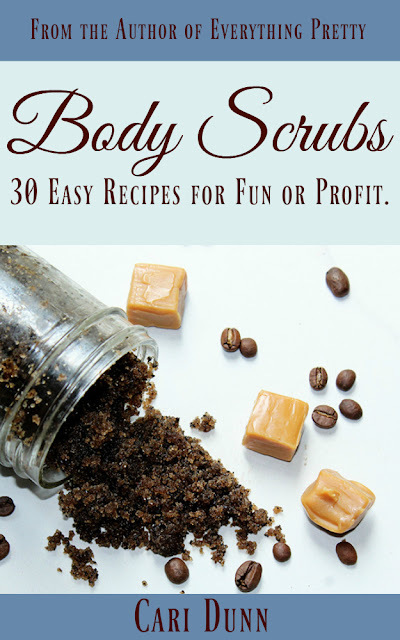 Another bonus to making a body scrub is that they are inexpensive, easy to make, and very easy to make a large batch. This recipe will make about two cups of salt scrub, which is two 8-ounce jars. If you want to make more, double the recipe. 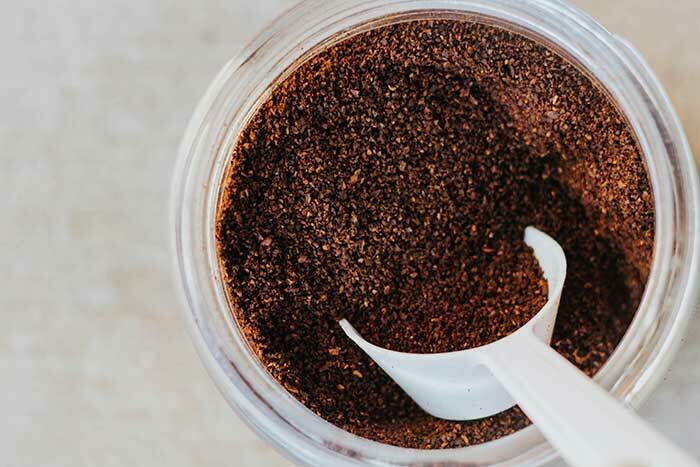 Coffee isn't just something that you drink to start your day; it's also a wonderful natural exfoliant. They are very effective at sloughing off dead skin cells without being too harsh on your skin. Your skin will be smooth to the touch without being irritated from the exfoliant. Coffee scrubs are excellent for the legs if you have cellulite because coffee is a natural diuretic. It temporarily draws fluid from the skin, which can reduce puffiness and the appearance of cellulite temporarily. Coffee also improves blood flow, so it makes your skin glow. Your skin will look more radiant after using a coffee scrub. I generally use Epsom salts in my salt scrubs because it has therapeutic benefits. The magnesium helps reduce inflammation. 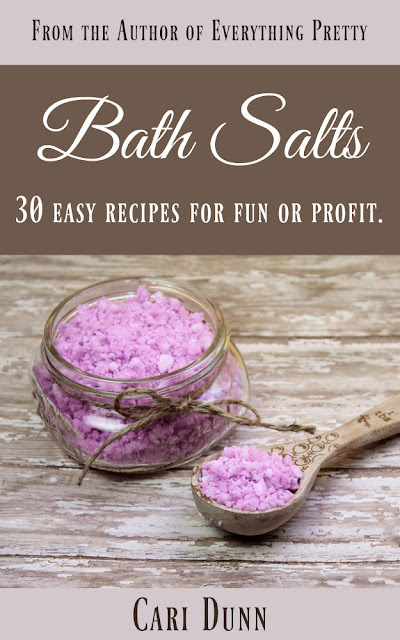 The sulfates in Epsom salts help flush out toxins. You won't get as much of a benefit for the detox as if you'd soaked in the Epsom salts, but it does help. The Epsom salts also help work to remove dead skin cells from the surface of your skin. Dead skin cells on the surface of your skin harden as they age. When you remove them, your skin feels softer and looks fresher. READ Salt Scrub vs Sugar Scrub: Which is Better? Cocoa powder makes this smell like a mocha, but that's not the only reason I added it. Cocoa powder is full of antioxidants that help fight free radicals to reduce the signs of aging. Cocoa is also a mild abrasive, so it can help exfoliate your skin as well. Chocolate has flavonoids. These help nourish your skin and increase elasticity in your skin. I like using coconut oil in my body scrub recipes because it's a solid at room temperature, so it results in a firmer scrub. 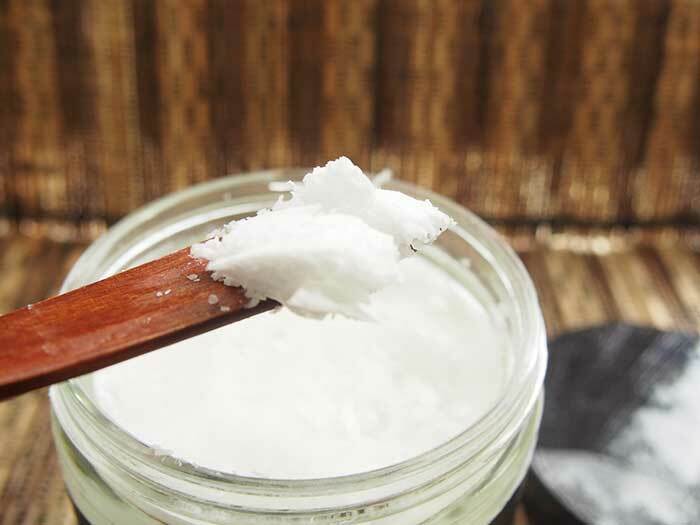 Coconut oil is naturally antibacterial and antifungal. 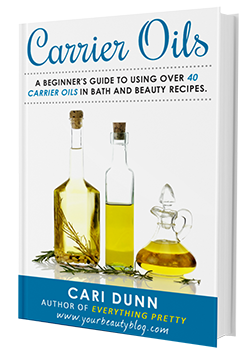 It's heavier oil, but it can penetrate deep into the skin to really moisturize your skin. If you have dry skin, coconut oil is one of the better carrier oils to use. I usually use organic unrefined coconut oil. If you don't like the smell of coconuts, you can use a refined coconut oil too. 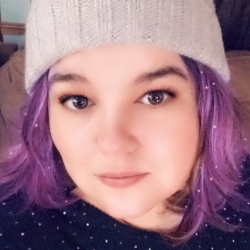 I used peppermint essential oil to make this a peppermint mocha instead of just a mocha. Peppermint essential oil contains menthol, so it naturally brightens your skin and it has a cooling effect on your skin. I use Crafty Bubbles essential oils. You can find it on Amazon or directly from Crafty Bubbles. Hobby Lobby and Pat Catan's also carry their line of oils and other supplies for DIY recipes. If your coconut oil is hard, soften it in the microwave for 10-20 seconds. If it melts completely, it's still fine to use. You don't need to wait for it to set back up, but it shouldn't be so hot that it's steaming. Combine the Epsom salts, coffee grounds, cocoa powder, coconut oil, and peppermint essential oil. Stir well. Spoon into a jar. You can use 8 ounce mason jars. I like these cute shorter jars. I think I got mine at Target, but there's a similar set available on Amazon. Pair this peppermint mocha salt scrub with a gift card to Starbuck's or a local coffee shop for a great gift.